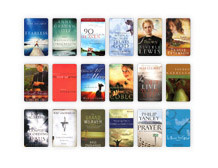 Did you know you can read over 10,000 Christian eBooks on devices you already own? This includes desktop and laptop computers, as well as many popular smartphones, tablets, and eReaders. Browse our extensive selection of Christian eBooks the same way you would any other product at Christianbook.com. Simply click on the blue tab, labeled "eBooks," at the top of any page on our website. You can also search for a particular eBook by typing the title or author in our search box and selecting "eBooks" from the dropdown menu, or search our entire collection by clicking "eBooks" in the "Browse" section on the left side of our website. Read a free sample of any eBook before you buy it! Click the "FREE Sample" button and a sample portion of the eBook will be placed in your CBD Reader Library. At any time while you're reading the sample, you can purchase the entire eBook, without ever leaving the page (not available on Apple apps). To purchase an eBook, simply click the "Buy Now" button, verify your account information, click confirm to complete your purchase, and begin reading within seconds. If you are purchasing multiple eBooks, buying an eBook along with other products, or do not have a default credit card number in your account, click "Add to Cart" and use our standard checkout process. As soon as you complete the checkout process, your eBook will be placed in your CBD Reader Library. Start reading your eBooks immediately following your purchase! To use an Apple or Android device, download our CBDReader app from the Apple App Store or Android Market. To use your computer (PC or MAC), visit cbdreader.christianbook.com. 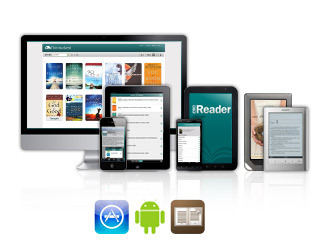 If you wish to transfer your eBooks to a dedicated eReader, you can download them to Adobe® Digital Editions from the "eBooks" tab of your Christianbook.com account. For detailed instructions, please visit our Supported Devices Page. Leave a bookmark where you stopped reading and you can pick up right where you left off, even on a different device! Start reading on your computer at home; keep reading on your phone later while you are out and about. Read the way you want to. 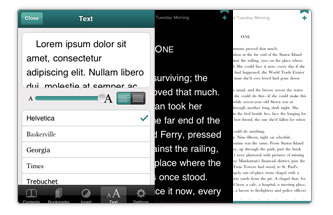 With many different font sizes and styles, as well as the ability to read white on black or black on white, you can customize your reading experience according to your personal preferences. 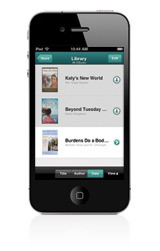 We hold your library for you, so your eBooks will never be lost. There's no need to worry if you move files around or change computers, since your complete eBook library is only a click away with the CBD Reader. Save precious hard drive space and your peace of mind; your eBooks are always safe with us.